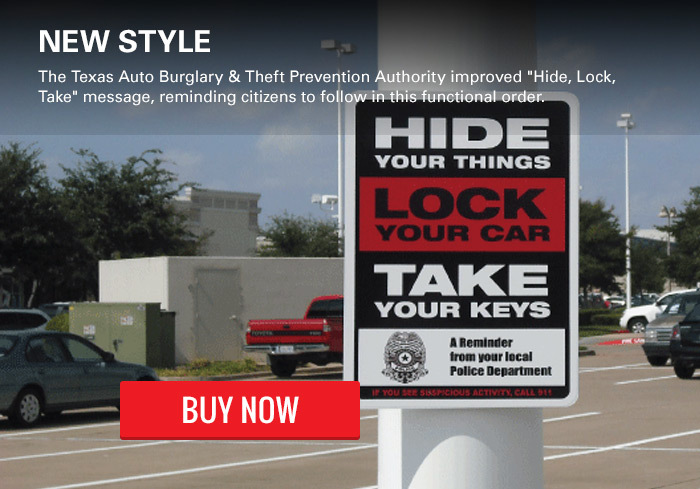 Since its beginning the HLT program is the most successful campaign against auto crimes and vehicle break-ins. 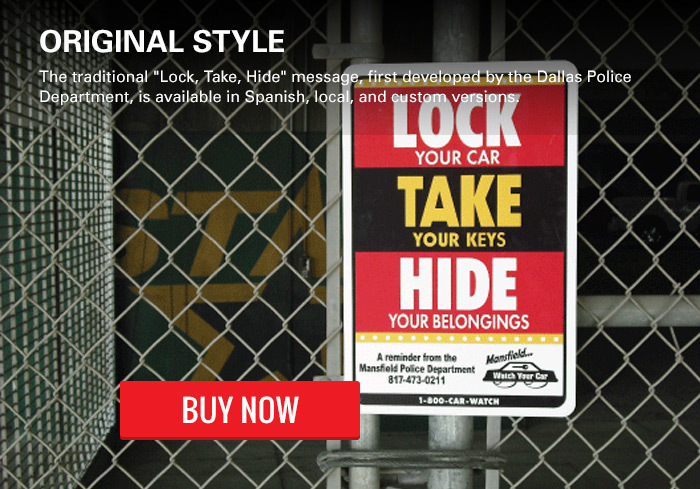 The Hide Lock Take program throughout the United States and Canada has reduced auto theft and vehicle break-ins by 85%. Professional and renown crime fighting experts travel from state to state speaking to the public as a service. 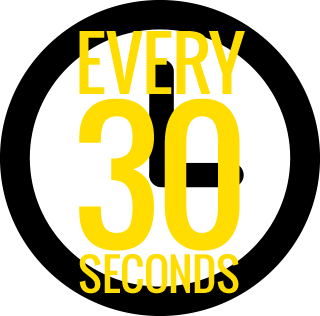 We have helped through community awareness signs to reduce 3 out of 4 auto theft and vehicle break-ins throughout Texas including Dallas.